Fancourt is South Africa’s premier golf resort, with all three of our golf courses ranked in the Top 20 in South Africa (2014/15 Golf Digest SA rankings). The Links is ranked No. 1 in South Africa by Golf Digest SA and No. 34 in the world by the USA Golf Digest. The Montagu is ranked No. 6 and the Outeniqua No. 17 by Golf Digest, SA. Fancourt offers three originally designed Gary Player golf courses - including The Links, which Gary Player has often referred to as his greatest design feat. 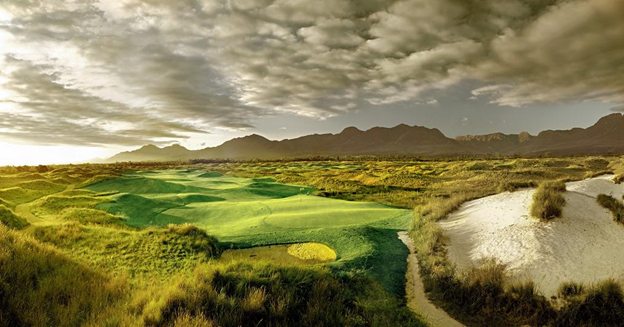 The Links, Montagu & Outeniqua golf courses are all ranked in the Top 20 in South Africa. In 2014, The Links is ranked No. 1 in South Africa by Golf Digest SA and No. 34 in the world by the USA Golf Digest. The Montagu is ranked No. 6 and the Outeniqua No. 17 by Golf Digest SA. Montagu, named after the Montagu pass was originally designed by Gary Player and is a much celebrated parkland course and has been ranked as the number-one golf course in South Africa in the past and is currently ranked as No. 6 (Golf Digest Rankings 2014). 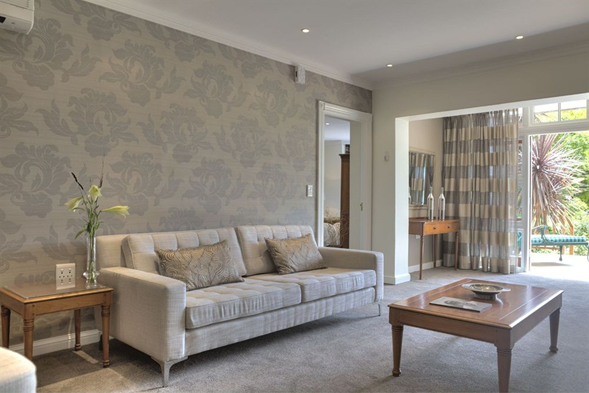 The exquisitely conditioned Montagu is at the heart of Fancourt, with its glorious parkland layout, covering large tracts of varying terrain on rolling land. It’s beauty is enhanced by mature trees, flower beds, shrubs and water hazards that provide a colourful contrast to the landscape. Golf carts are available for hire, weather permitting. Fancourt has two fully equipped pro shops, one situated at the Fancourt Resort, and the other at The Links. 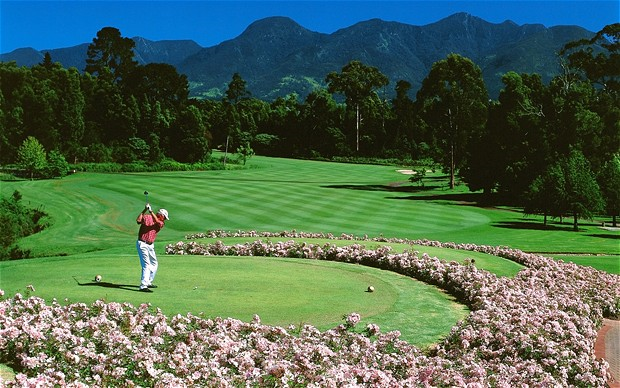 The Garden Route with its panoramic views and diverse flora and fauna is known as South Africas Golfing Mecca. 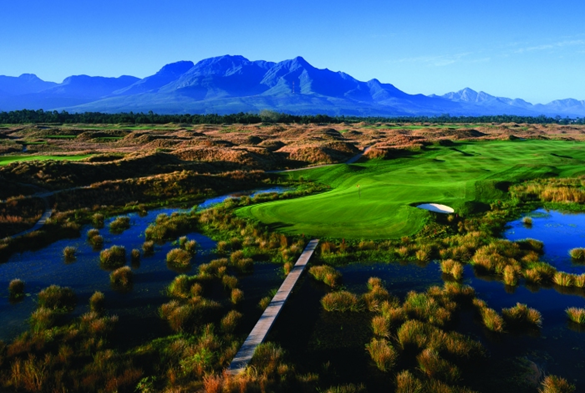 The diversity of the golf offering in this area ranging from extreme coastline courses situated on the cliff edges of the Southern Cape coast, to pristine Parklands courses and the number 1 ranked Golf Course The Links at Fancourt, makes the golf experience in the Garden Route truly special. Courses within a 100km radius of Fancourt include Pinacle Point and Mossel Bay Golf Club (in Mossel Bay), Kingswood, Ou Baai and George Golf Club (in George), Simola, Pezula and Knysna Golf Club (in Knysna) and Plettenberg Bay Golf Club (in Plettenberg Bay). A little bit further up the Garden Route you will find St Francis Links . 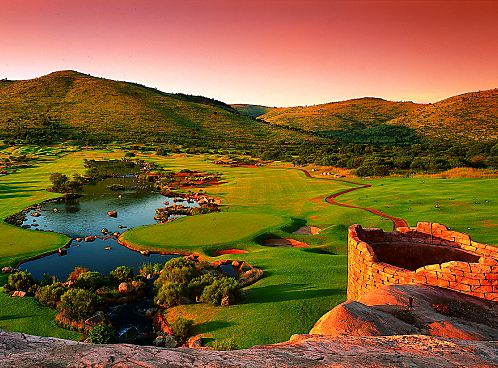 The Garden Route was awarded the 2014 IAGTO (International Association of Golf Tour Operators) best destination award for Africa, Indian Ocean and Gulf States, as voted for by more than 500 international Golf Tour Operators. Timeless in design, Classic rooms are 32 -sq-metre and feature 2 twin beds or one King size bed, all with contemporary interiors and fashionable furnishings. 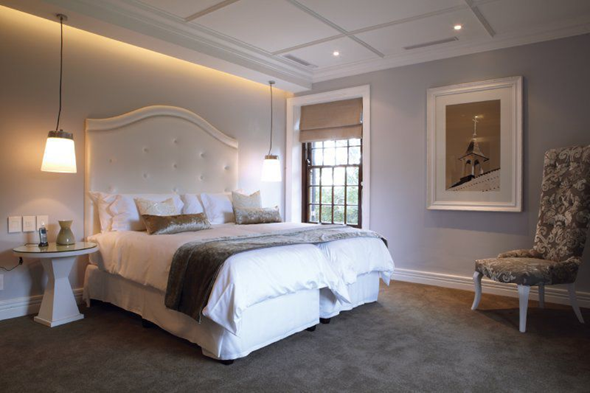 Each room has either a patio or balcony situated on the ground or first floor overlooking either the Outeniqua mountains, Fancourt gardens or the Montagu golf course. A spacious and contemporary design with soothing colours, approximately 40 -sq-metre. Our Luxury rooms showcase the perfect sanctuary to recharge the senses with an unsurpassed home-away-from-home feeling. Choose from king-sized and twin-bed options. Relax on your balcony or patio and admire the tranquil setting of the Fancourt Estate. This 54-sq-metre suite decorated in neutral tones and unique artistry highlight spacious living and dining areas as well as a work area. Available in king-sized and twin-bed categories, leisure and business guests will find endless relaxation and comfort within its plush interior. Enjoy deluxe individual touches and a private balcony which overlooks either a golf course or garden or the Outeniqua mountains. Fireplace is available on request. Rejuvenate and energise your body and mind. 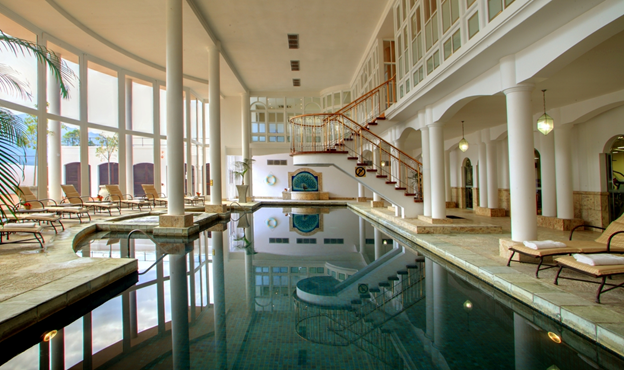 The luxurious Fancourt Spa offers complete relaxation in the most tranquil setting. Unwind with a hot stone massage or enjoy a swim in the heated Roman Bath. All the facilities you could want are available, including a steam room, sauna, Jacuzzi and tepidarium. At the Fancourt Spa we believe each guest is unique, our treatments are inspired from rituals from around the world, the four elements, Air, Water, Fire and Earth form the basis of all our treatments. Our Spa team, draw upon their intuition to listen to your body’s needs, as well as your personal requests, to provide the ultimate spa experience created especially for you. If your idea of relaxation is getting some fresh air outdoors, take a mountain bike or go for a jog or hike in the awe-inspiring surrounds of the estate. Fancourt has entertainment for the whole family with four tennis courts, volleyball, indoor and outdoor swimming pools, and Jacuzzis. With supervised games and crafts to keep the kids entertained, mom and dad can enjoy a well -deserved game of golf or spa treatment. 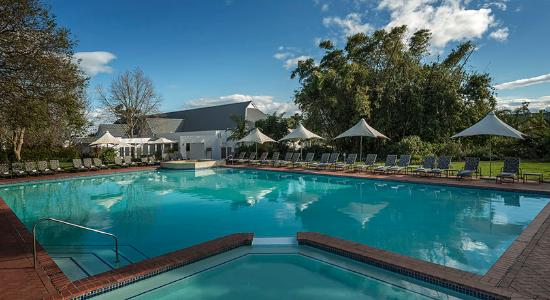 Fancourt has four swimming pools on the resort. Relax at our outdoor pool at the Leisure Centre consisting of a Jacuzzi and baby pool. Kids have the luxury of an indoor heated pool next to the Kid’s Club. The Manor House has an outdoor pool which is for the exclusive use of Manor House hotel guests. 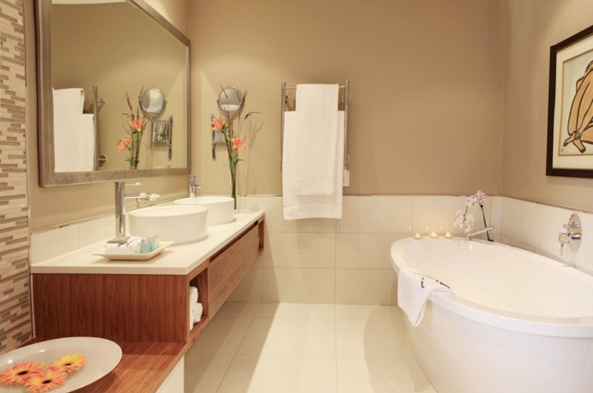 The Roman Bath area situated in the Fancourt Spa is available to all hotel guests. This is an adults area, no children under the age of 18 years. The Garden Route runs parallel to a breathtaking mountain range enveloping a shoreline dotted with beaches and bays. If the ocean beckons, you can indulge in encounters with whales, seals, dolphins and pelagic birds, swim at one of its gorgeous beaches and then end off your day with oysters at Knysna Lagoon’s oyster farm, a magnificent sunset cruise or leisurely sea-kayak. We offer a variety of dining experiences. From casual and child friendly to elegant and bespoke, there is a dining option for every occasion. Back by popular demand - Sunday Family Lunch Buffet served from 12:30 - 14:30. See the What's On page for our specials. Please note that La Cantina will be closed for breakfast from 01 July until 04 July and will re-open for breakfast on Saturday 05 July 2014. Situated next to the Spa and overlooking the 1st tee of the Outeniqua golf course with the mountains as the backdrop, the Morning Glory is the perfect place to relax from morning to late afternoon. Sushi available daily from 12:00. 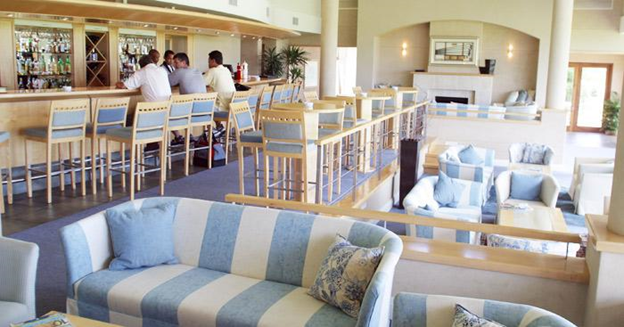 The Club Lounge is the ideal place to relax after a round of golf either on the terrace with spectacular views overlooking the 18th green of the Montagu golf course, or in the adjoining Clubhouse. Open daily it is a perfect choice to savour hearty American club style food. The Club Bar shows televised sporting events on our flat screen televisions. Dress Code: Golf attire and smart casual. 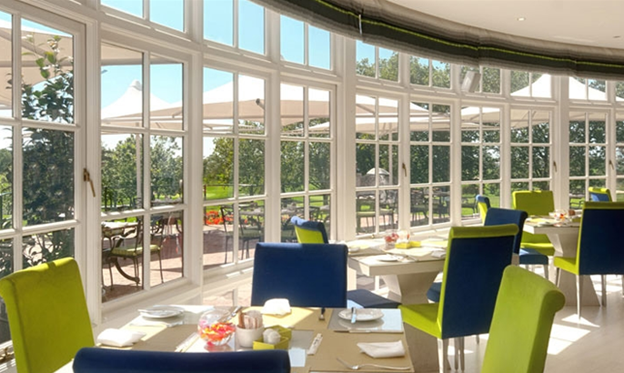 The Fancourt hair salon, ladies boutique, two Golf Pro Shops, tennis courts, indoor and outdoor swimming pools, fishing dams and walking trails provide guests with luxurious and exciting entertainment. 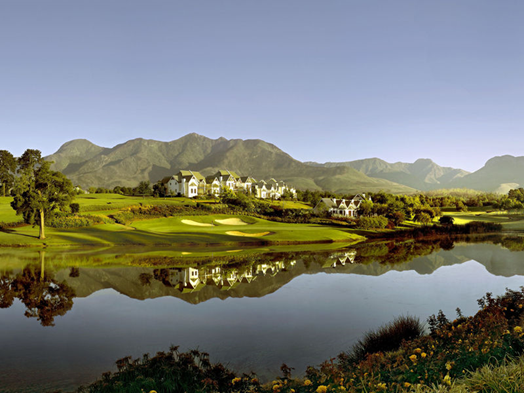 Fancourt’s reputation is internationally esteemed after hosting the Presidents Cup in 2003, Nelson Mandela’s 46664 concert in 2005 and Japan’s football team for the 2010 FIFA World Cup.